Vladivostok, Russia. What an experience!!! I spent 5 days discussing how we in Oregon educate our students on issues ranging from global climate change to the importance of caring for the environment and specifically salmon. I met with various primary educators and their students, as well as the education team for the unfinished Primorsky Aquarium. 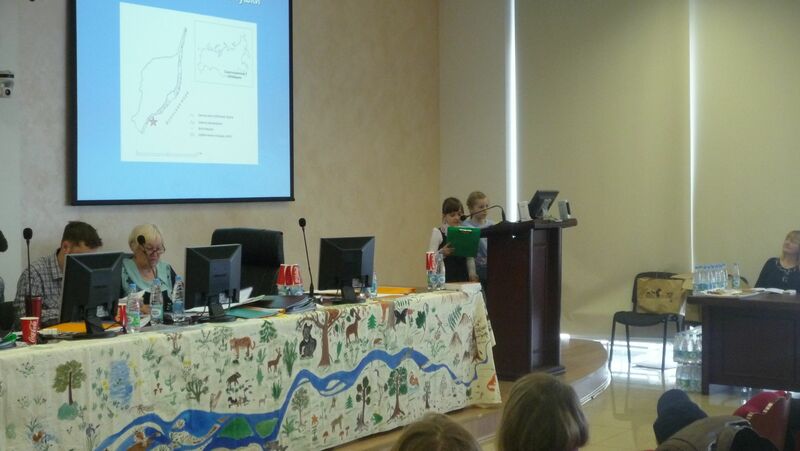 I was asked to be the keynote speaker at a conference where the children were presenting their problem-based learning experience before a panel of professional environmental scientists. As I sat listening to my interpreter translate, I was in awe at the level of professionalism these young people exhibited. Their heads barely above the podium, presentation on the screen behind, dressed in their best, they spoke confidently and with an authority I seldom witness in the conferences I attend of professionals. The problems of poaching and lack of care for the environment — due in large part to the depressed economy — are driving educators to reach out to young people with the message that change can happen and they are the solution. At another conference I attended sponsored by the Phoenix Fund, a World Wildlife affiliate, I listened to educators speak about their programs and how they are reaching their students. The takeaway for me was of optimism and hope and openness to new ideas. I returned having made new friends, carrying business cards written in a language I don’t understand, and a mission to aid in whatever way I can to help my Russian friends further develop their education programs with the aid of the Oregon Coast Aquarium, Hatfield Marine Science Center and the Oregon Coast STEM Hub. 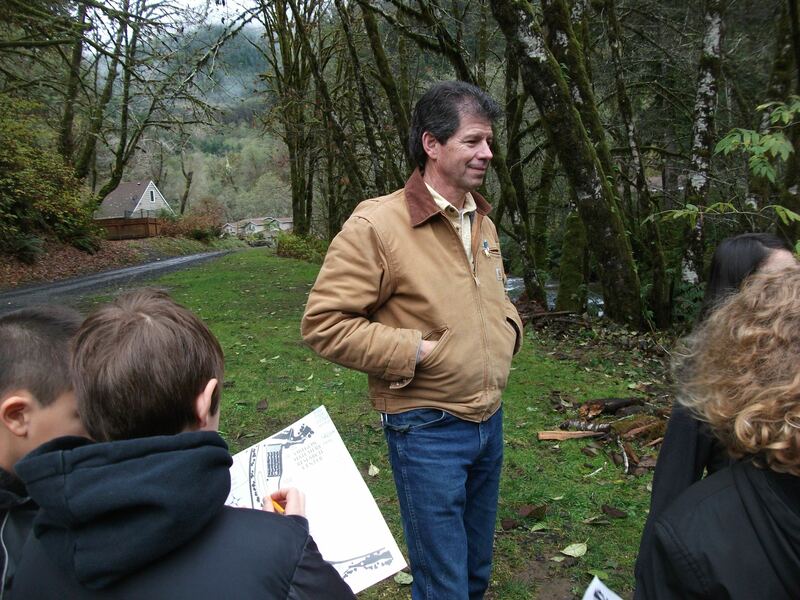 Joseph O’Neil is the Senior Technician and Outreach Coordinator for the Oregon Hatchery Research Center (OHRC) in Alsea, Oregon. OHRC is a cooperative research project between the Oregon Department of Fish and Wildlife and the Oregon State University Department of Fisheries and Wildlife, and is a partner in the Oregon Coast STEM Hub. 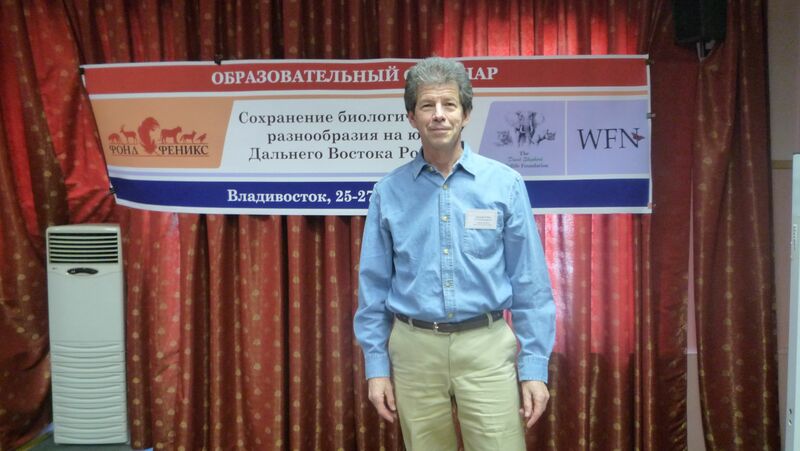 I never thought I would travel to the Russian Far East, and yet I now find myself a willing traveler to the Primorsky Aquarium and Research Center to discuss how we on the Oregon Coast educate our youth about the challenges of environmental issues pertaining to salmon. It is a once in a lifetime chance and I am anxious to share the wonderful work that is being done here to engage youth in shaping their future. The Primorsky Aquarium is located in the south eastern corner of Russia at about the same latitude as the coast of Oregon. The eastern coastal area of Russia has some of the most pristine salmon habitat left in the world, and the Aquarium is interested in establishing educational programs to address issues pertaining to salmon and their habitat. Look for more to come following my visit in late March.